Dude! Check it out! 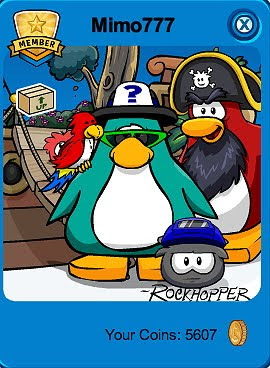 Billybob sent me the new "Herbert's Revenge" DS game and this very cool card! Saweet! 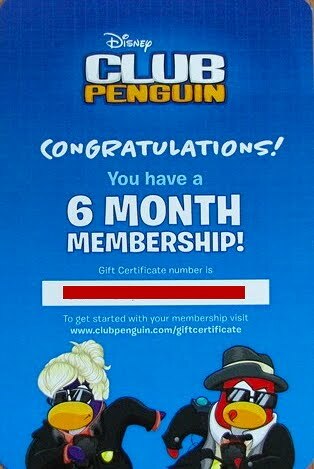 A 6 month membership code! Thank you Billybob! You are awesome! Awesome! You can now join the EPF! You have to pass a new test. This test includes a series of agility tests. To begin the test, throw a snowball at the target. The phone will become a screen. Follow the instructions on the screen. Except, do NOT go on the blue square. It is a trap! 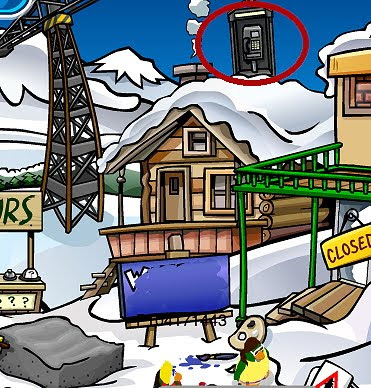 If you do get trapped on the blue square, just throw a snowball at the electrical box. 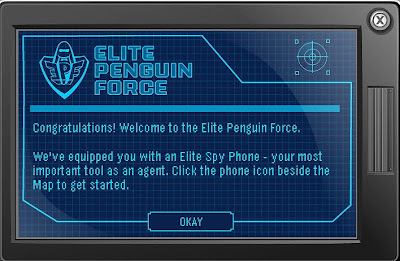 Once you have passed the test, you are a new EPF Agent! Congratulations! Thanks, Club Penguin, this is so awesome! I know many of you have notice lot of bugs, and Club Penguin is working on squashing them! Let me know what you think is the coolest thing about the new EPF! 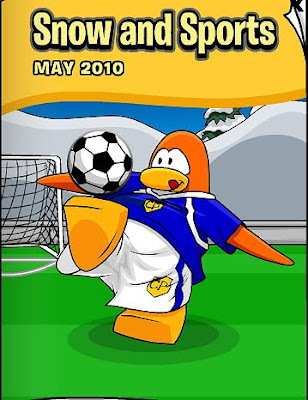 New May 2010 Club Penguin Snow & Sports Catalog Cheats! Well, the new Stadium is here! With it, you will find snacks and all kinds of cool sports gear! 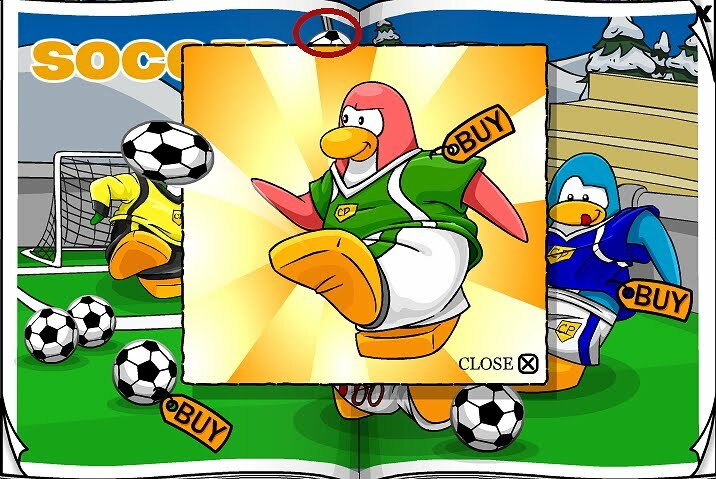 Here's how to find the new hidden Green Soccer Jersey cheat. Step 6. First click on the soccer ball at the top. 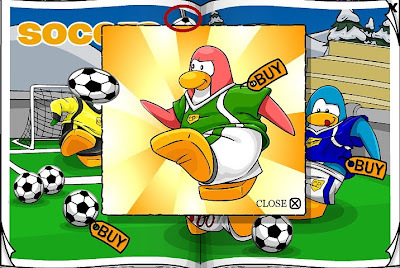 You have now found the Green Soccer Jersey cheat! 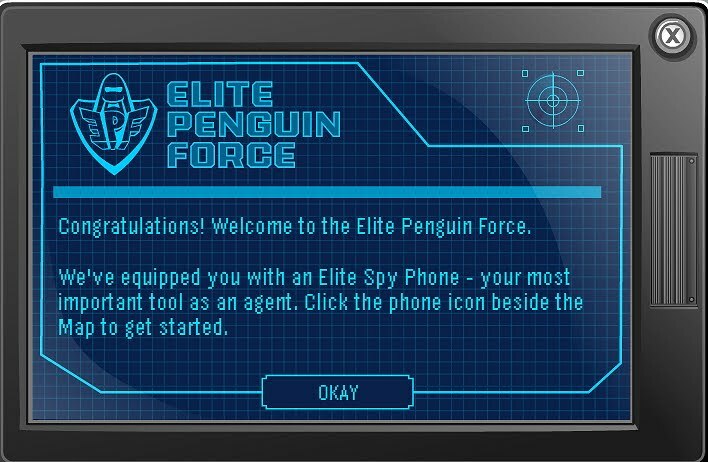 ~Join the EPF and unlock features of the new EPF Spy Phone. 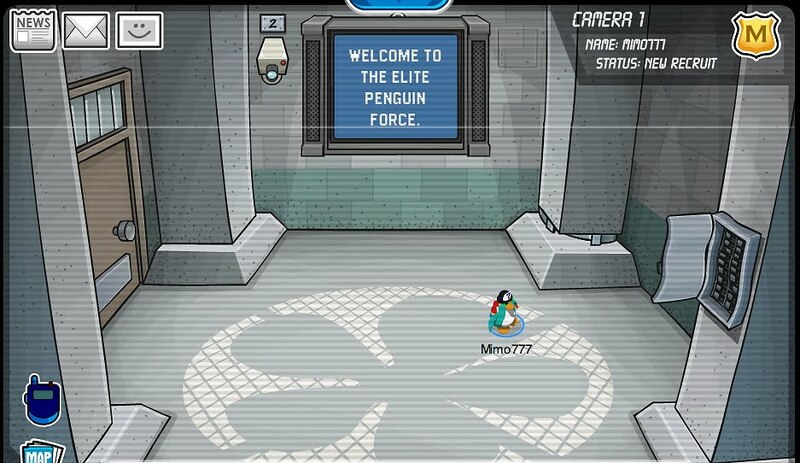 ~Access top secret Elite Penguin Force items and gear. 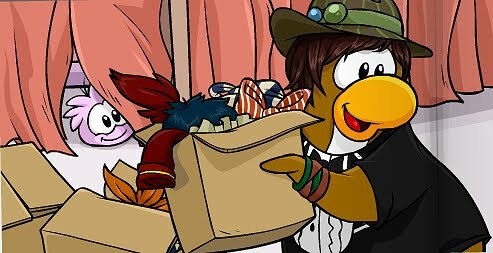 ~Hunt for new outfits and rare items to get you set for the Island Adventure Party. ~Take on your buddies in an exclusive battle room. But, the good news is, there is going to be an ADVENTURE PARTY soon! Woot woot! 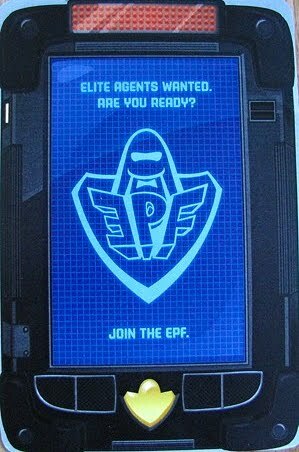 So, do you think all EPF will be for members only? It kinda sounds that way. Let me know what you think. 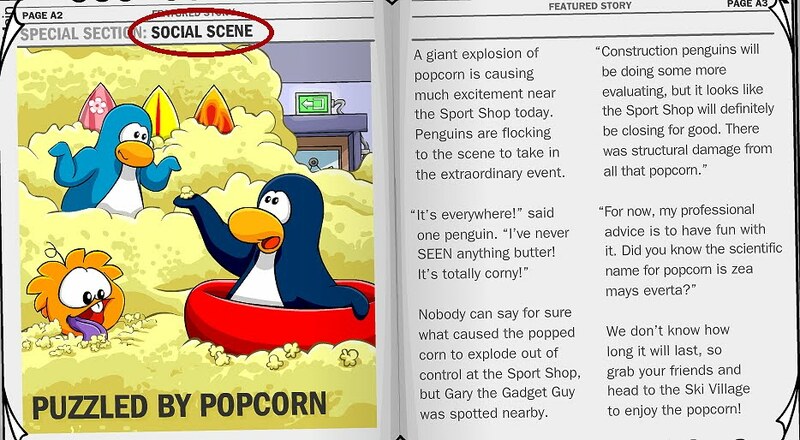 As I already reported, Club Penguin confirms that the Sports Shop will be closed for good and replaced with an Everyday Phoning Facility. The Sports Catalog will be relocated to the Stadium where the Ice Rink/Soccer Pitch is. 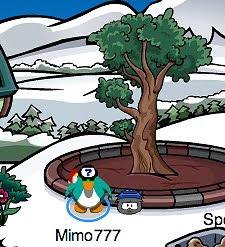 A new Penguin Style Catalog will be here soon! The new catalog will be here on June 4th! And, Ruby and the Ruby will return to the Stage on June 11! Which of these upcoming events are you most excited about? 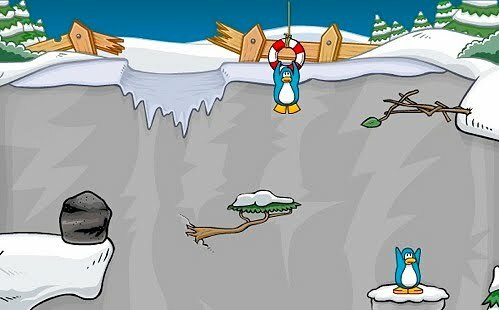 "Well, I know this information is classified, but the hardest mission I ever solved was avalanche rescue. I was allowed to skip it though, so I moved onto the next one. 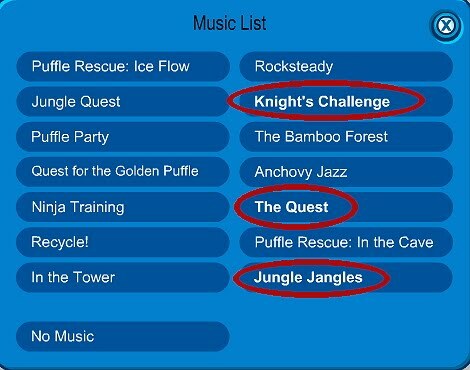 Soon I was finished all the missions except that one! I decided to solve it once and for all. 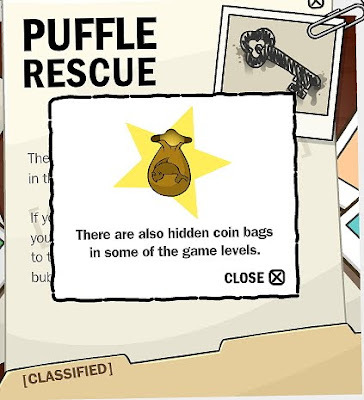 I went to the HQ, and solved the mission! It turned out it was easier than I thought! The trick is not to think too deeply. Be remarkable, be reliable, be ready! Good luck agents!" Now, Club Penguin wants to know what you and your friends are doing to help the construction in the Ski Village! Are you having fun construct the new HQ? Many of you seem to be confused by the blue sign with the "W" on it by the Sport Shop. I think it is just the Winter Sports sign and we are painting over, don't you? Woot! 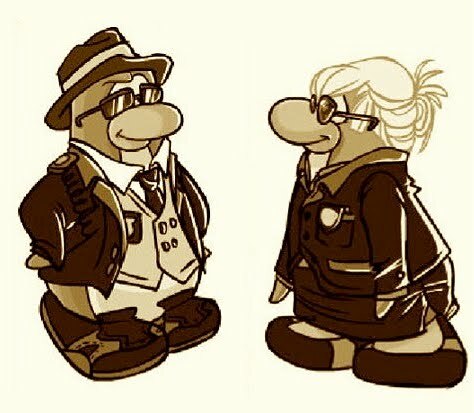 Club Penguin Agents are about to get an upgrade! With that, agents will get new challenges and a new HQ! 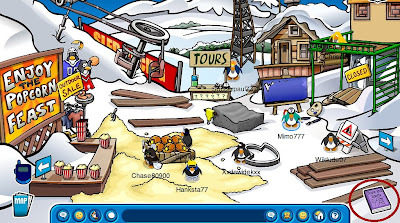 Speaking of that, have you seen the the construction at the Ski Lodge? 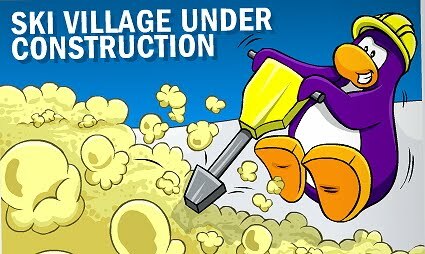 If you don't have the construction helmet yet, pick up a FREE one and help construct the new HQ! Very smoove, don't ya think? 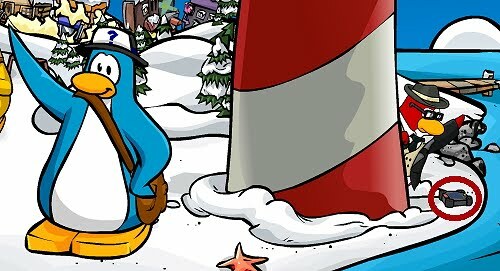 Club Penguin's Final Herbert's Revenge Sneak Peek! Well, the big day (May 25th) is almost here! "Herbert's Revenge" Nintendo DS game will be here soon! Then, the story of the "Veggie Villain" will be continued. Cool, 'cause we gotta catch that bear! Each Saturday, Club Penguin has been giving us sneak peeks of Herbert's lair. Agents will have to sneak into this lair in the mission after "Veggie Villain." Saweet! Billybob has assured us about the future of the Secret Agents! Club Penguin has a TON of new stuff that they will be launching online NEXT WEEK! Woot! Keep checking here and we will keep you up to date! Wow! What could a "TON" of new stuff be? I would love to hear your theories... again! 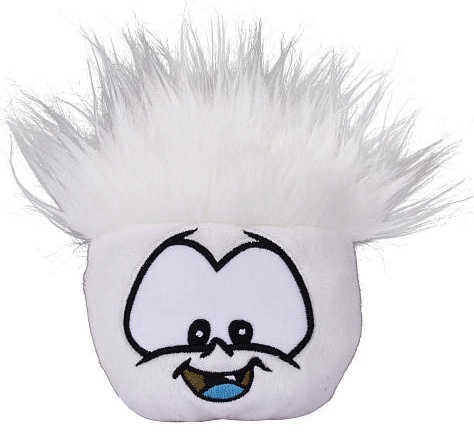 These series 5 puffles will be available on July 20, 2010! 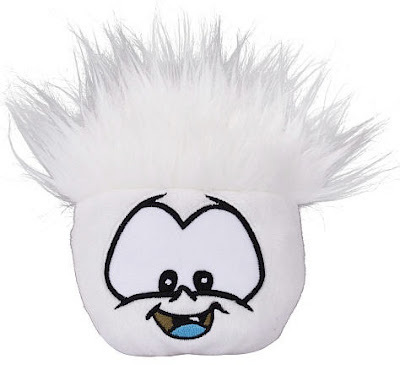 Click here to check out all the new puffles and Club Penguin Toys! If you haven't completed the mission yet, Screenhog encourages you to do so, right away! Thanks Billybob, this looks awesome! It looks to me like it is a touch screen! 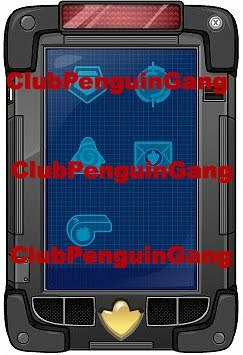 I can't wait until the EPF Headquarters are here finished so we can try this new device! How 'bout you? 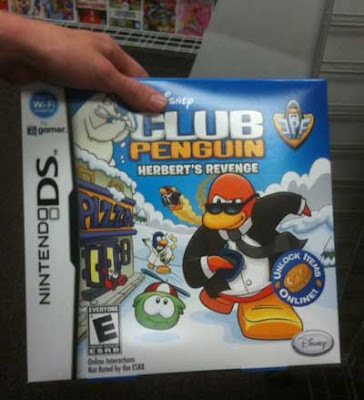 Do you think the HQ will be finished by May 25th when the new "Herbert's Revenge" Nintendo DS game is released? Click on the "Social Scene" on page A2. 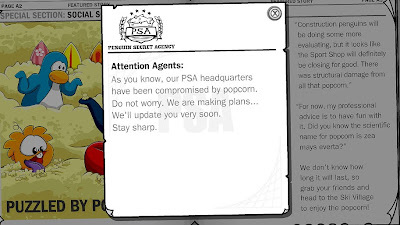 have been compromised by popcorn. We'll update you very soon. Well, that doesn't really give us much of a clue, but how about this? 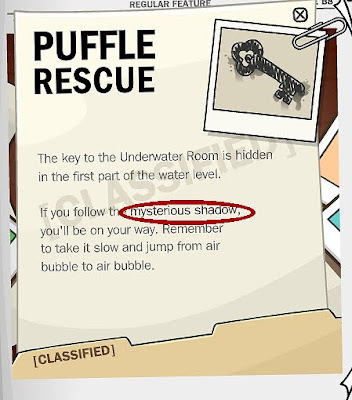 in the Top Secret section on page B8, click on the words "mysterious shadow." 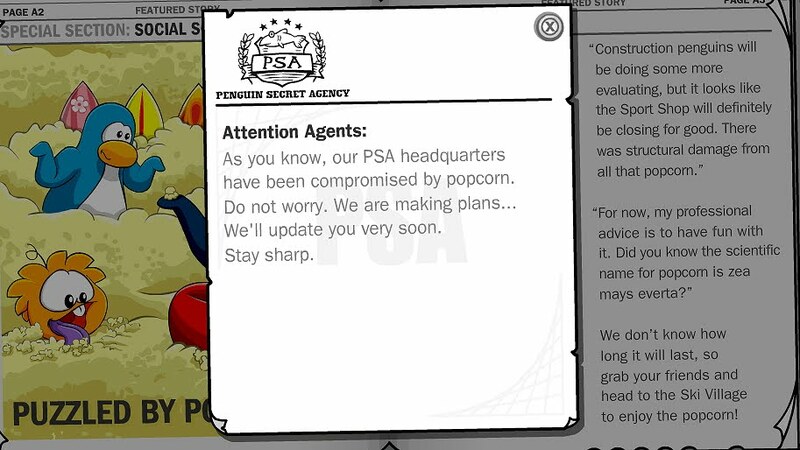 Thanks to all you awesome penguins who have noticed all these cool hidden messages!